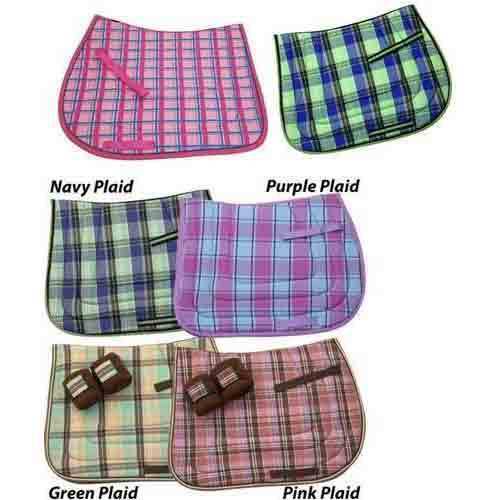 Bright Plaid Saddle Pads offered by us are made available in different choices of colors as well as sizes. Further, these can also be customized in terms of fabrics, sizes and colors. Providing comfort for both rider & horse, these saddle pads have a great demand in the national and international equestrian field. We are well-known manufacturers of equestrian products, saddlery items & apparels. Apart from this, we also offer accessories for pets. These are widely acclaimed for its good heat insulation and high resistance to flexing and puncture.